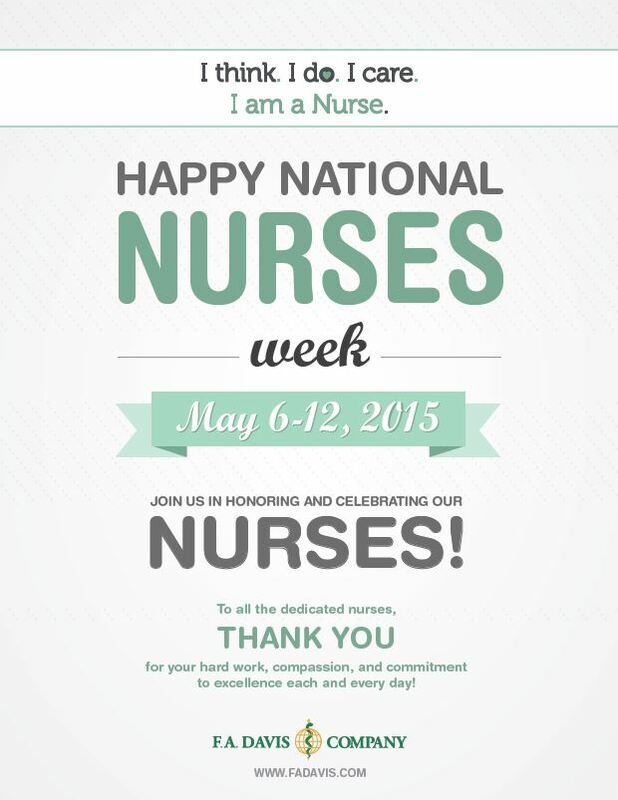 Health Care Link Roundup: Nurses Week Edition! HAPPY NURSES WEEK! At F.A. Davis, we are constantly humbled by the compassion, expertise, and skill that comes from our nursing authors and contacts, and we hope all our nursing friends are taking the time this week to celebrate your profession. Read on for some links we thought you would enjoy this week!